IRCTC Tourism Offers Train Tour Package to Madurai, Rameshwaram, and Kanyakumari from INR 13400. Booking Details Here. Operating under the Ministry of Railways, the Indian Railways was founded on 8th May 1845. It is by size the fourth largest railway network and is constantly expanding and developing new initiatives to make travel by trains a comfortable, affordable and luxurious service. 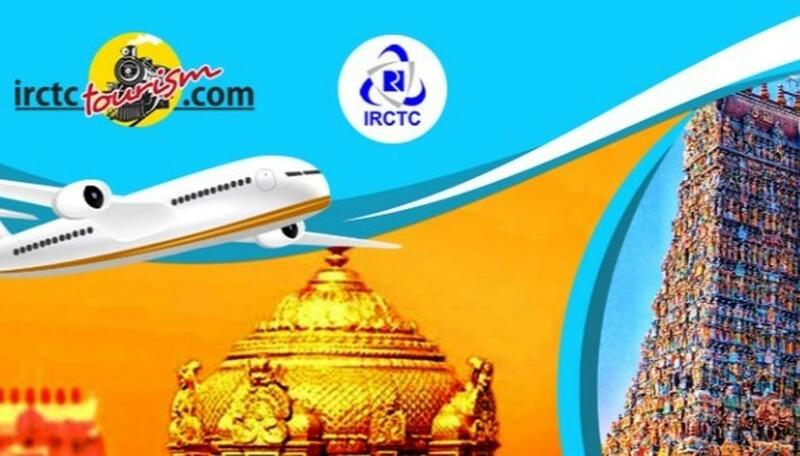 IRCTC (Indian Railway Catering and Tourism Corporation) tourism arm is offering six nights and seven days travel package to the Southern Marvels of Madurai, Rameshwaram and Kanyakumari. According to the Indian Railways official website www.irctc.com, the tour will be via trains. The tour package starts from INR 13,400/- and can be booked on any Friday till March 2019. 1. The tour package is inclusive of overnight hotel accommodation at Madurai, Rameshwaram and Kanyakumari. 2. The tour package starts at INR 13400/- for triple occupancy. 3. Transfers on land would be by means of AC vehicle, the seating capacity of which would be as per the group. 4. The package includes excursion as well as sightseeing. 5. The package includes breakfast and dinner. Meals are preset and there is no choice of menu. 6. Additional expenses such as laundry, food and drinks apart from the regular menu, wines, etc., are not covered by the IRCTC.